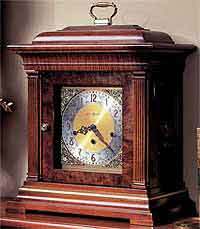 The Hermle 22864-030340 Walnut Debden keywound, Moondial Mantel Clock is a shouldered arch mantle clock in an elaborate Satin Walnut finish wood case with beautiful pyramid Satin Walnut top. Carved, solid walnut wood top. 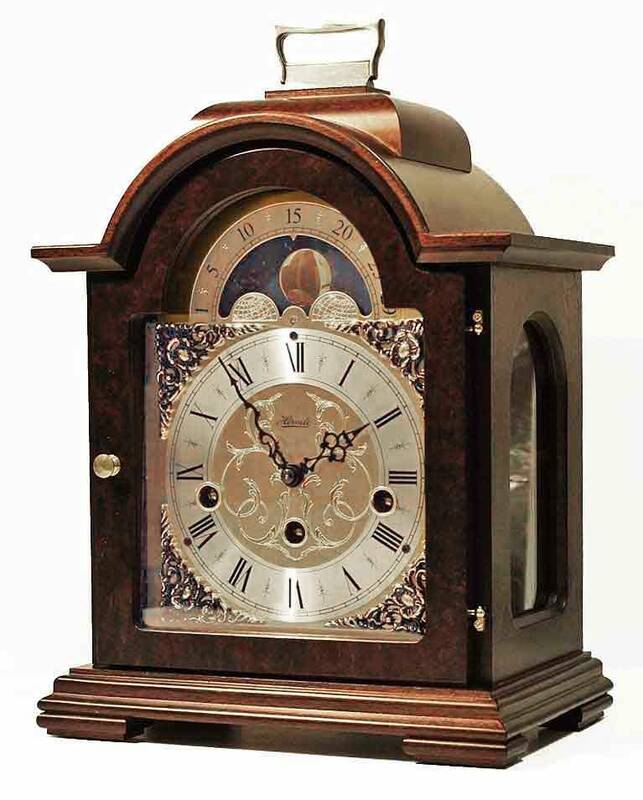 This moon dial mantel clock features arched side glasses and a hinged back door. Made in Germany Functional etched moon phase mantel clock dial indicates the different phases of the lunar cycle. Spun silver chapter ring with Roman numerals and and cast brass corner spandrels. 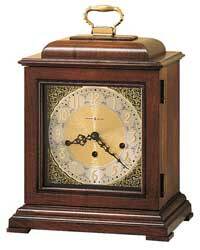 4/4 Westminster chime mechanical movement with chime shutoff lever. 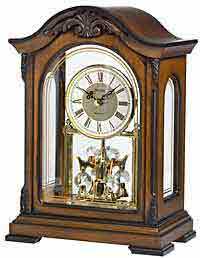 Size: Height 11-7/8" Width 8-1/4" Depth 5-1/2"
Clocks for sale at The Clock Depot including the 22864-030340-Walnut at discount prices.